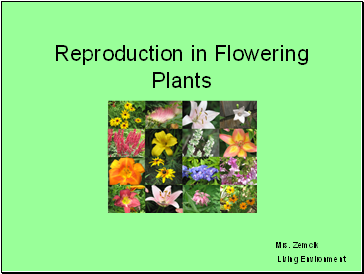 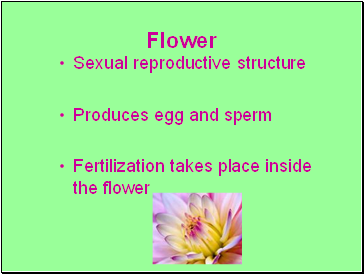 *Anther – produces sperm nuclei by meiosis. 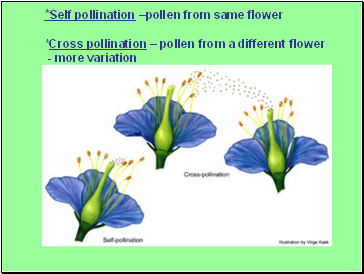 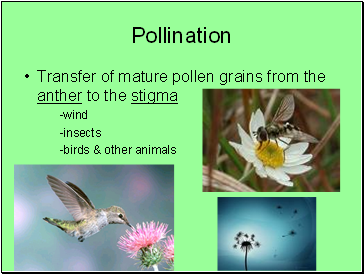 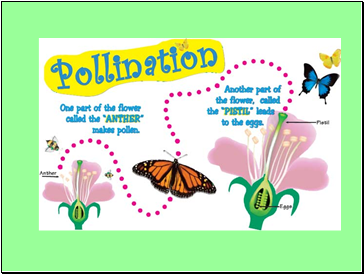 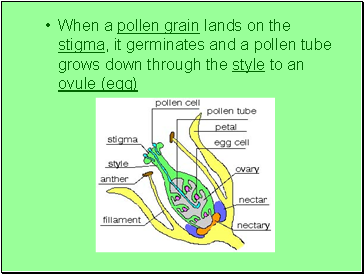 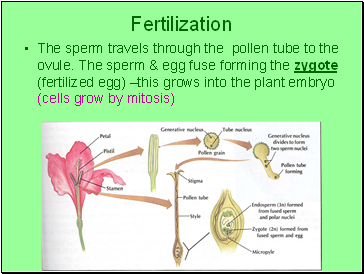 Sperm nuclei are enclosed by pollen grains. 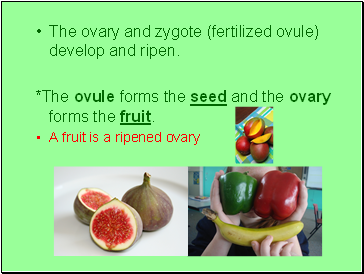 The ovary and zygote (fertilized ovule) develop and ripen. 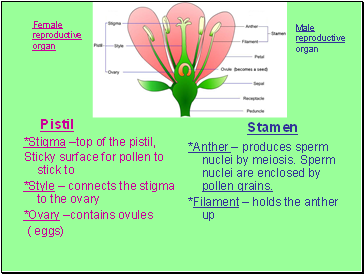 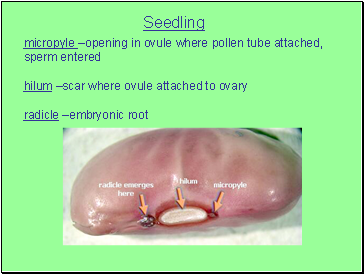 *The ovule forms the seed and the ovary forms the fruit. 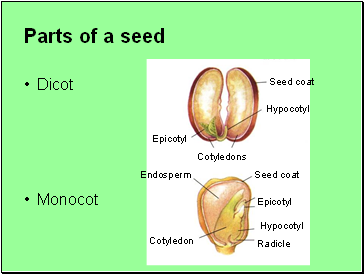 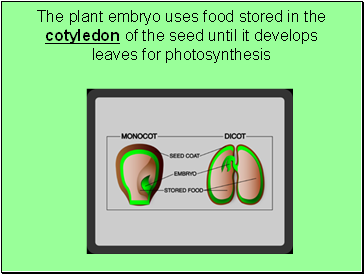 Epicotyl – grows above the cotyledons and gives rise to the leaves. 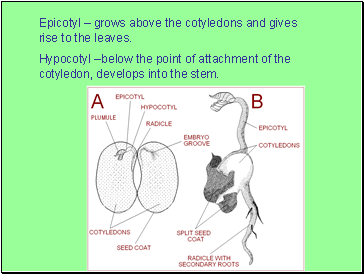 Hypocotyl –below the point of attachment of the cotyledon, develops into the stem.